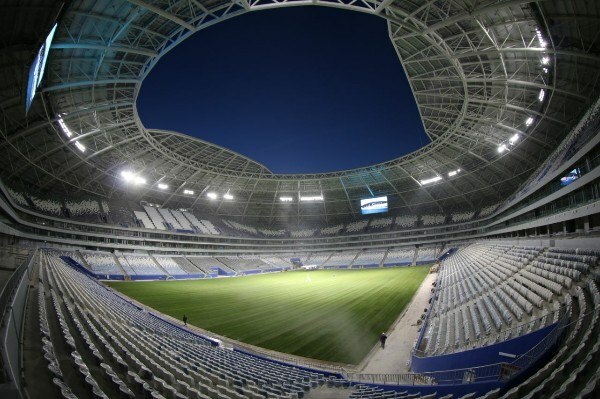 Yesterday's quarterfinal between Sweden and England was the very last game for Samara Arena. The stadium will remain under FIFA's jurisdiction for a short time now, later being released back to the Russian Federation. In 2019 it should be transferred by the government to the Samara Oblast (region), who now have to think hard how to make the stadium profitable. We can already say that it won't be profitable, at least in the first years. Which is not as negative as it may seem, even the best-planned stadiums struggle to get out of the red soon after opening, especially when hosting a megatournament early into their operation. Samara Arena have a strong tenant club, which we already emphasised. Krylya Sovetov is a traditionally popular club, which has just won promotion to the Premier Liga. The 2018/19 season is looking very well for them with a brand new stadium. However, deputy governor of Samara Aleksandr Fetisov recently confirmed that 18-20 games of Krylya isn't enough to make the stadium profitable. There are many interesting ideas into how the stadium could come alive on a daily basis. Already before the World Cup a monumental pedestrian avenue through the nearby park was created and the building is hoped to become a major leisure hub. Cycling tracks are planned around it, while the vast floor spaces could host some of the city's highly popular dance studios. Previously the concept of a football museum was floated, now facilities for beach football are also suggested, due to the city's great role in Russian beach football. 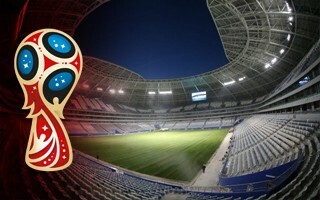 But all the above uses would likely generate even more cost than profit and it was already confirmed that Samara Arena will be among the most expensive World Cup stadia to maintain. The estimate by Samara Oblast puts it at RUB 500 million per year ($8m), which is well over twice the cost of Kaliningrad stadium and almost twice the cost of same-sized Volgograd Arena. First years of its operation will be subsidised by the government, but period and percentage of the subsidy is unclear. One major idea, perhaps the most obvious one, is to make the venue open to concerts. However, it too generates some issues. The stadium's lawn will have to be protected for such use and it already has compromised sunlight access. Also, Russian customers have lower purchasing power than western concert-goers, while fees for getting major international stars won't go lower just for that reason.